The newest resort accommodations at the Walt Disney World Resort are actually part of one of the original Disney Resorts created in 1971. 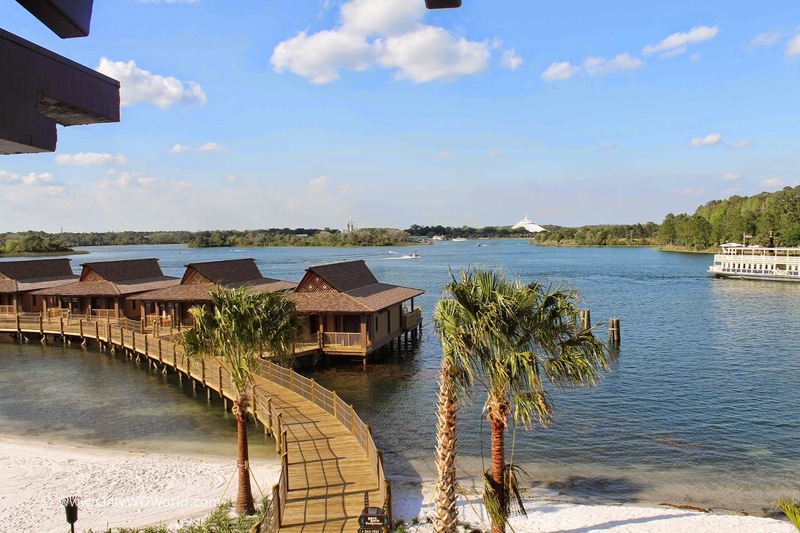 The Polynesian Villas and Bungalows are part of the Disney Vacation Club and have added some amazing new views and rooms to a classic Disney favorite. 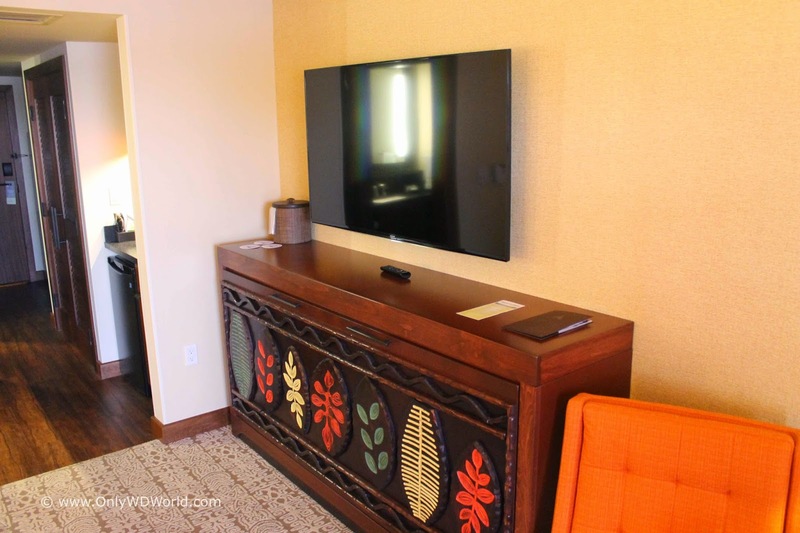 After many, many months of construction that has been transforming Disney's Polynesian Resort the fruits of that labor are now ready to be experienced! Starting on April 1, 2015 the newest rooms are available to the public. There are 3 new classes of rooms: Lake View Deluxe Studios, Standard View Deluxe Studios, & 2 Bedroom On-The-Water Bungalows. 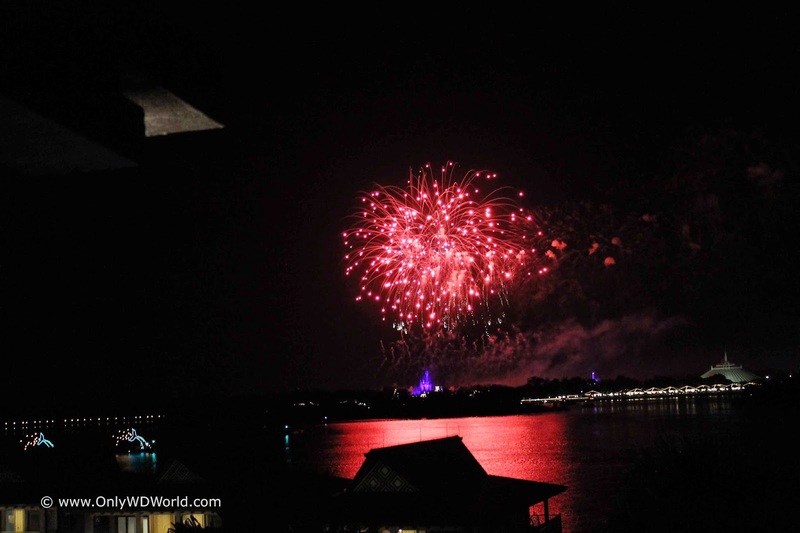 Only WDWorld was there for opening day and spent the first available night in one of the Lake View Deluxe Studios. The new Studios here are the largest one at the Walt Disney World measuring in at 447 sq ft. The rooms are designed to handle 5 adult sized people. There is a queen sized bed, a double sized sleep sofa and a twin sized fold down bed that is positioned beneath the television. 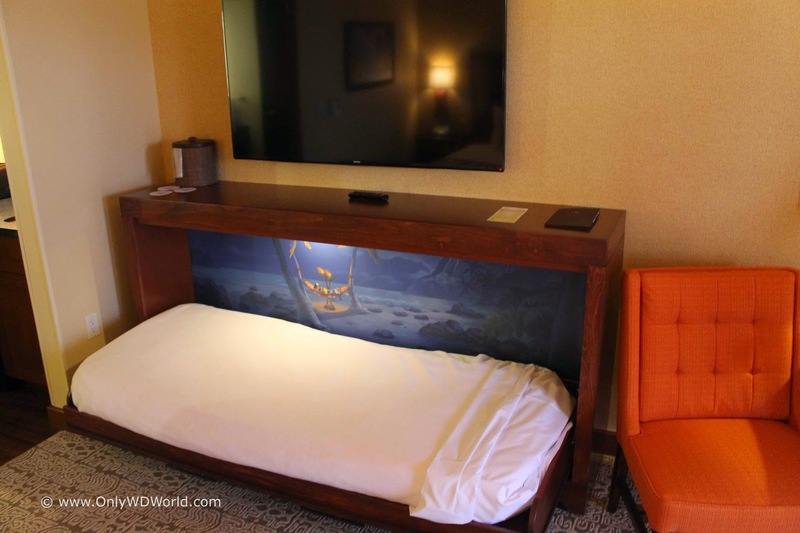 This new feature to allow a 5th adult to fit in the room is starting to show up across other Deluxe offerings across Disney World. 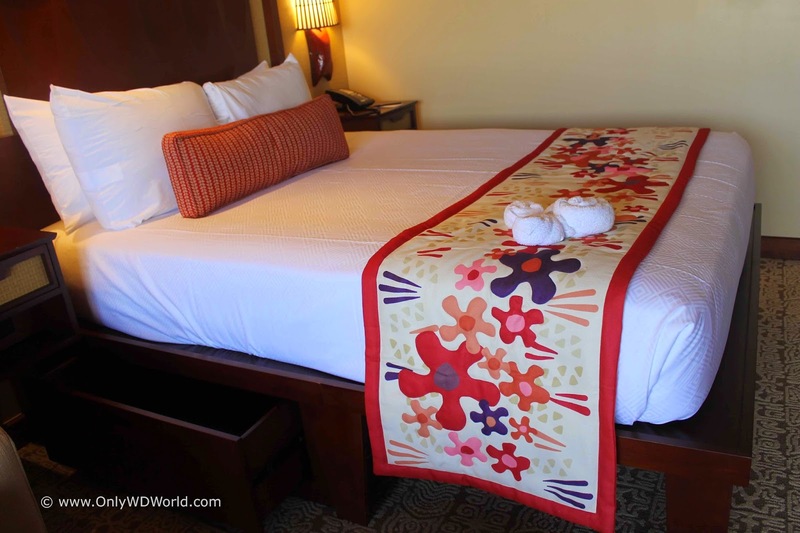 For those of you that are used to the tiny fold down bed that can be found at Disney's Port Orleans Riverside Resort, rest assured this new bed is much longer. It is just as long as a traditional twin and my 6' 5" teenage son spent the night in the bed shown above. The other major new feature in the room is that there are two bathrooms in this studio! 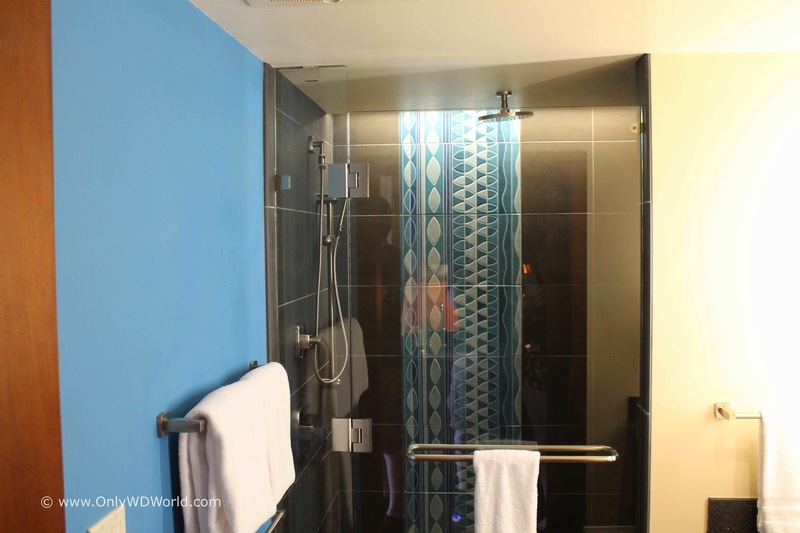 One houses a tub with shower and a toilet, while the other contains a shower with traditional shower head and the rainfall shower head that is amazing! This way two people can shower at once and speed up the time it takes getting ready in the morning (or evening)! Definitely a great feature. 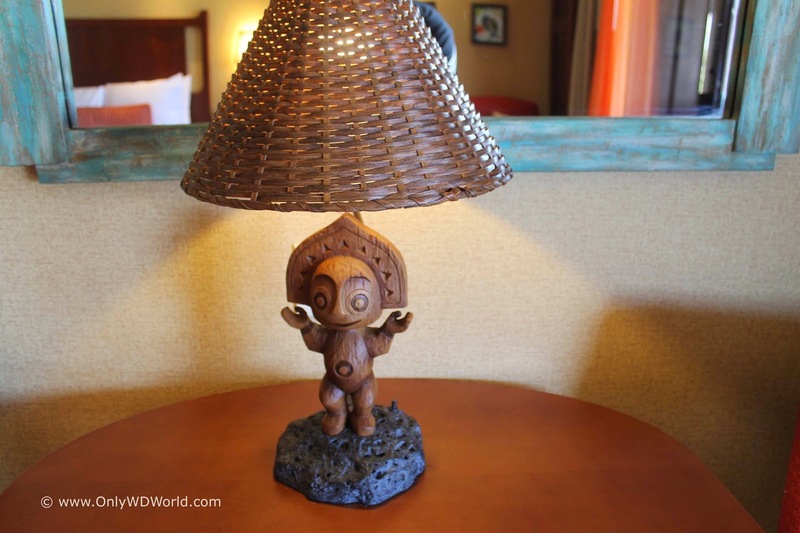 The Polynesian style decorations and furniture in the room fit the style well and do a great job at making the "escape" to Hawaii complete. 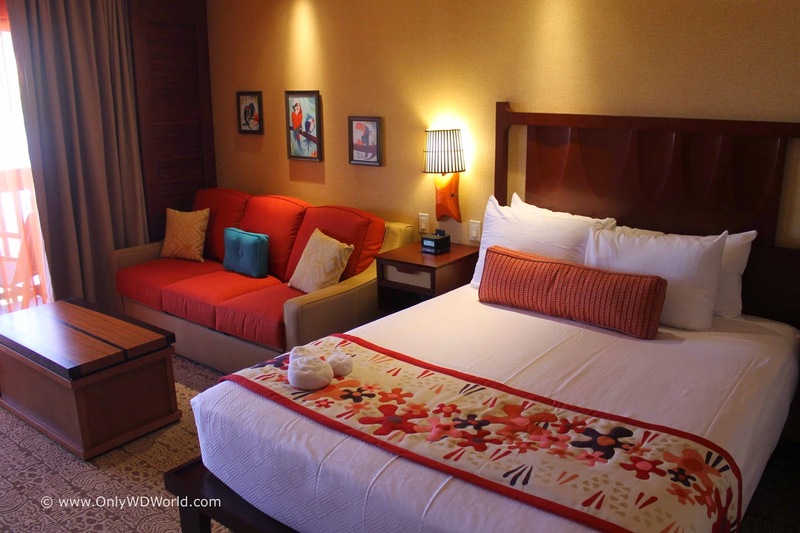 The DVC Resorts have done an excellent job over the past several years at paying significant attention to the detail and theming of the resorts and rooms. The last great feature is the improved emphasis on storage in the room. The bed has been redesigned to allow for underbed storage and even has drawers. 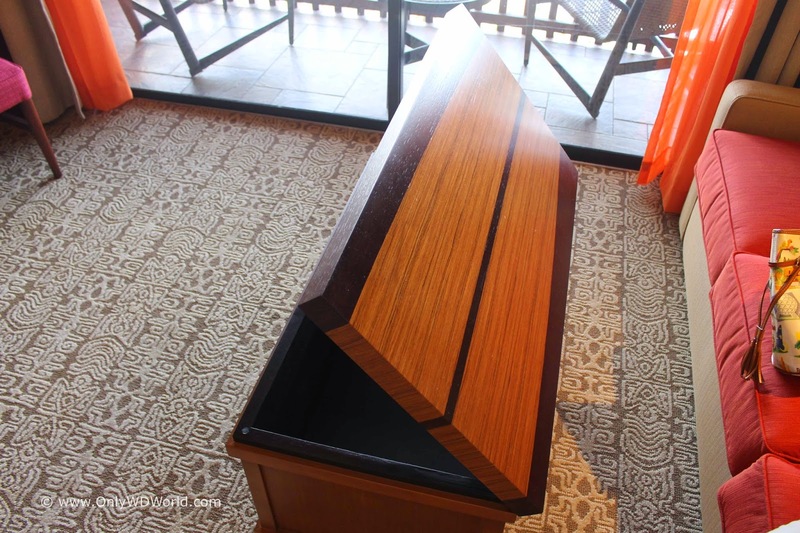 The surf-board inspired coffee table opens to reveal secret storage as well. This combined with the fold up bed under the flat screen tv has created a spacious room with ample storage of luggage and items. 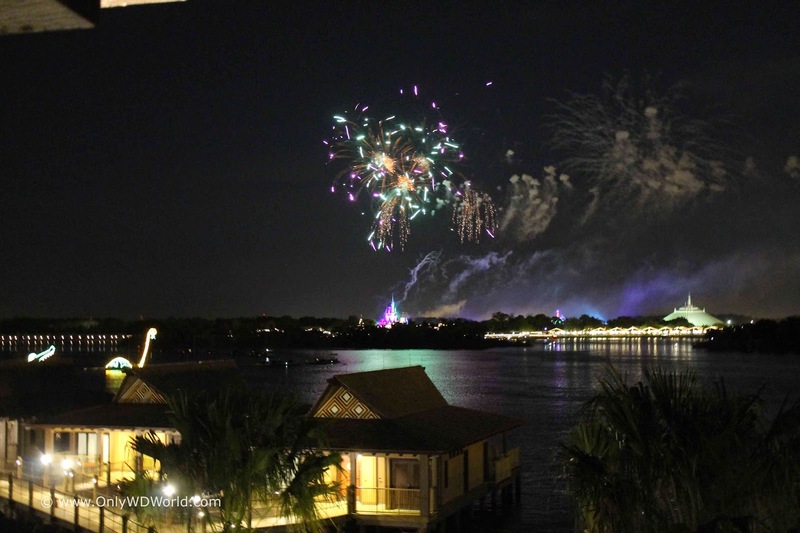 The lake view studios provide a great view of the Seven Seas Lagoon and the new waterfront bungalows. 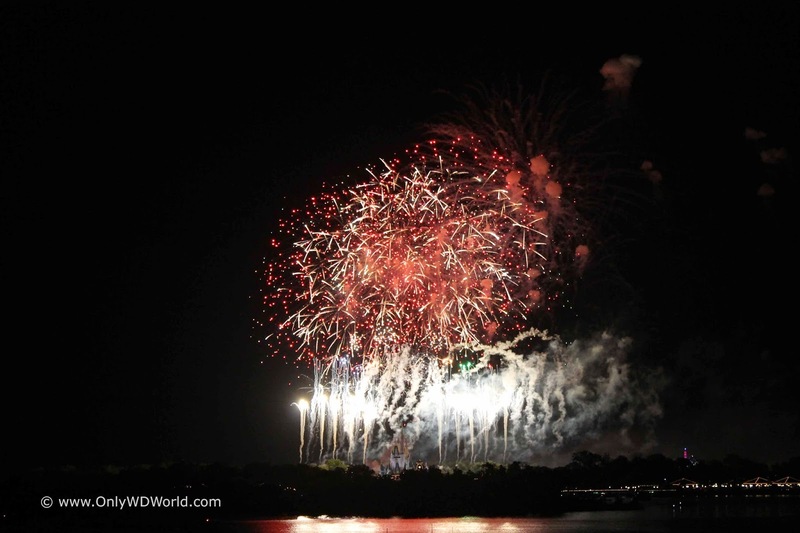 They also serve as an idea place to watch the Wishes Fireworks show at the Magic Kingdom or the nightly Electrical Light Parade as it makes its way across the lagoon. 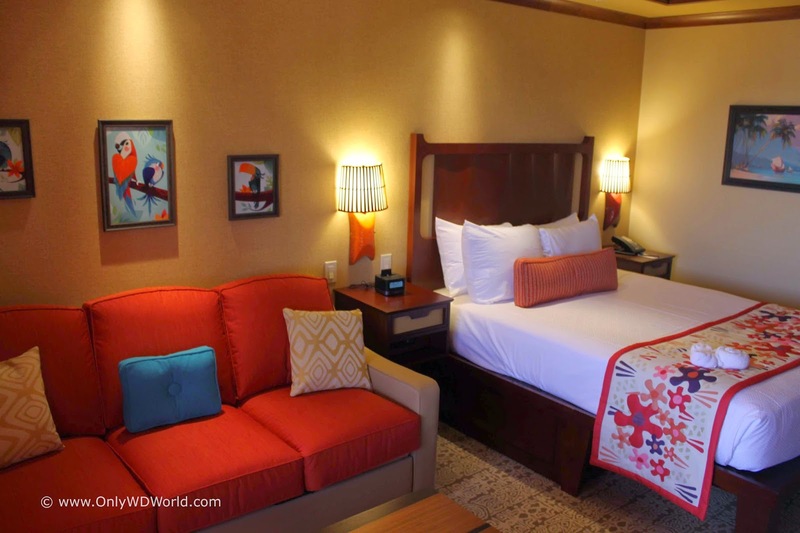 The new Lake View Deluxe Studios at the Polynesian Villas and Bungalows are exactly what you want when you stay at a Walt Disney World Resort Hotel. 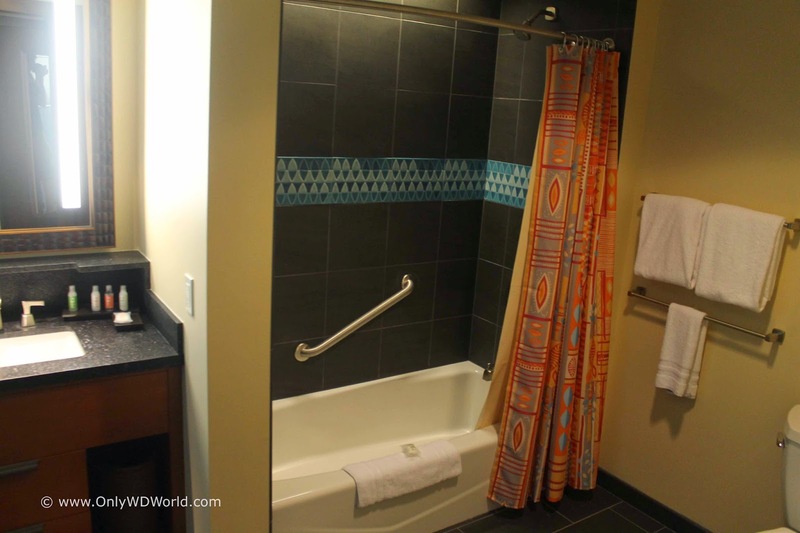 They are spacious, comfortable and allow families to easily get ready quickly during the morning prior to a long day a the Disney World Theme Parks. The worst part of these resorts is having to check out. These are truly places that your family will not want to leave. Many families will no doubt claim the Polynesian Villas & Bungalows as their new favorite place to stay during their Disney World Vacation and we can't argue with them. Disney has a winner with these newly designed rooms. We highly recommend them! 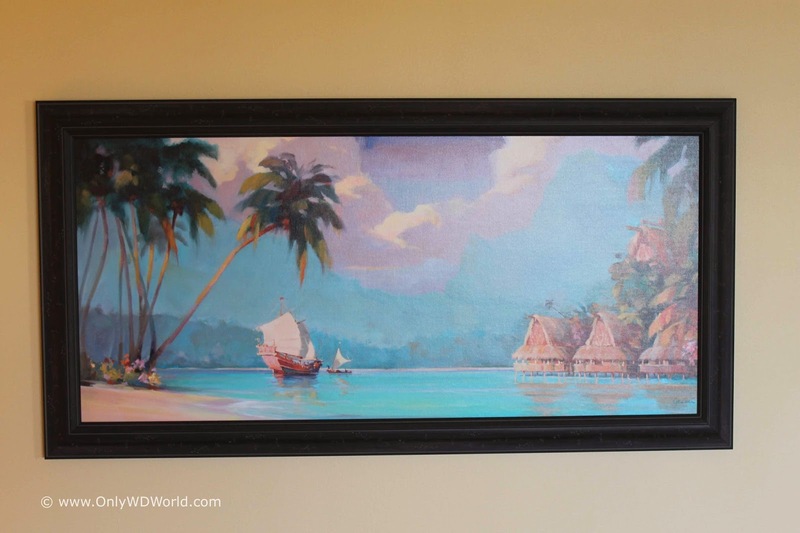 0 comments to "New Polynesian Villas Studio At The Walt Disney World Resort"